A subtle and refined look. These calico-colored druzies can only be described as reminiscent of a dappled horse's shining coat. 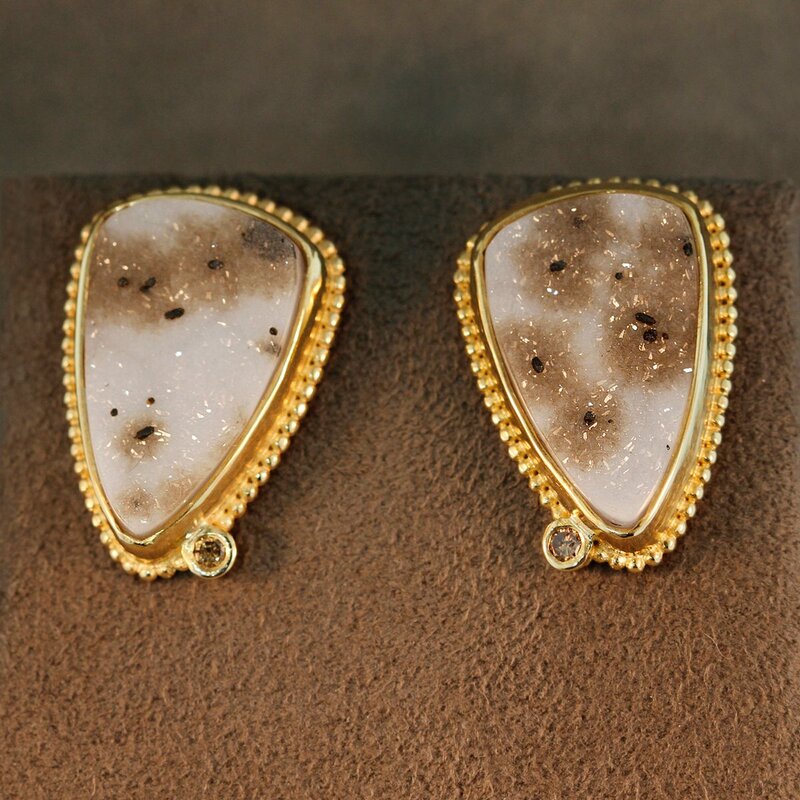 Encased in a gold bezel, surrounded by gold granulation, these earrings also boast a small bezel set chocolate diamond on each ear.